Your cultural itinerary includes sights like Batu Caves and Islamic Arts Museum Malaysia. Change things up with a short trip to Sultan Salahuddin Abdul Aziz Shah Mosque in Shah Alam (about 40 minutes away). 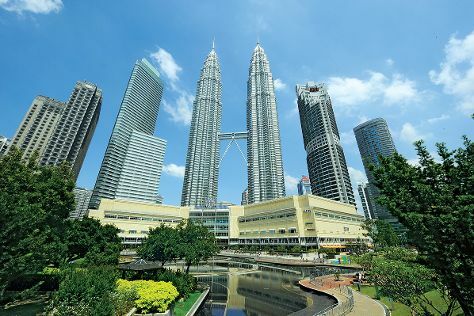 There's much more to do: admire the striking features of Petronas Twin Towers, see the interesting displays at National Museum, buy something for everyone on your list at Central Market Kuala Lumpur, and wander the streets of Chinatown. To find traveler tips, reviews, and other tourist information, read our Kuala Lumpur trip itinerary tool . In February in Kuala Lumpur, expect temperatures between 39°C during the day and 28°C at night. Finish your sightseeing early on the 15th (Fri) so you can travel back home.